1954 Packard convertible. Photos by Nancy Gates, courtesy AACA Museum. In days of yore, gigantic, lumbering beasts roamed the landscape, pausing only to feed their insatiable appetites, or (occasionally) to raise their tops in a sudden downpour. Now all but extinct, these magnificent creations will be celebrated in a new exhibit, Land Yachts: Postwar American Luxury Convertibles, opening on November 16 at the AACA Museum in Hershey, Pennsylvania. The term “land yacht” is somewhat vague, and the category includes more than just convertibles. Sedans can be land yachts, as can personal luxury coupes and even station wagons. The term – which wasn’t always perceived as a compliment – can be applied to any vehicle of generous length and width, festooned with luxury appointments and tuned for ride comfort over handling. 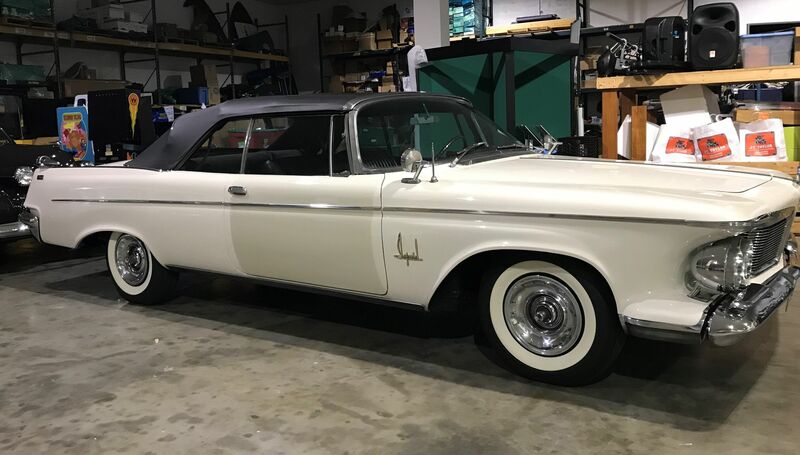 Even the era of land yachts is somewhat ill-defined, but most agree it begins in the immediate postwar years and carries on into the late 1970s, when downsizing became a necessary evil for domestic automakers. 1964 Cadillac de Ville convertible. 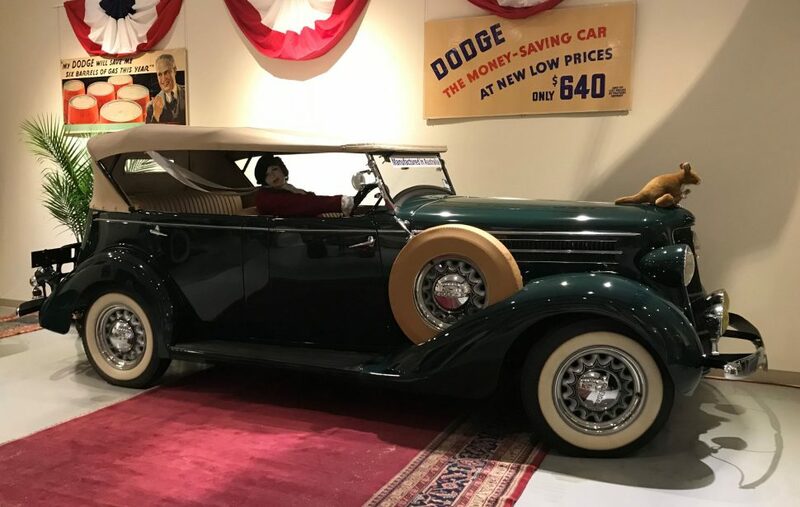 For the sake of the AACA’s exhibit, land yachts will center on domestic cars (though Der Grosse Mercedes, the Mercedes-Benz 600, certainly qualifies), specifically those with convertible tops. To American automakers and consumers alike, the postwar years were a time of optimism, and convertibles symbolized both youth and freedom. What better way was there to celebrate the joy of the open road than traveling the byways (and after 1956, the Interstate Highway System) in the open air, part of the environment instead of removed from it? In a time when air conditioning was an expensive and uncommon option, convertibles offered driver and passengers relief from the stuffy confines of an enclosed cabin. They were glamorous as well; after all, celebrities often drove convertibles, and until a fateful November day in 1963, drop-tops were the preference of politicians as well. Convertibles afforded a better view for occupants, but in the case of full-size luxury convertibles, it was also about being seen by others. By the 1970s, however, things began to change. Engines shrank in size, or were choked by emissions control systems that robbed power and increased complexity. 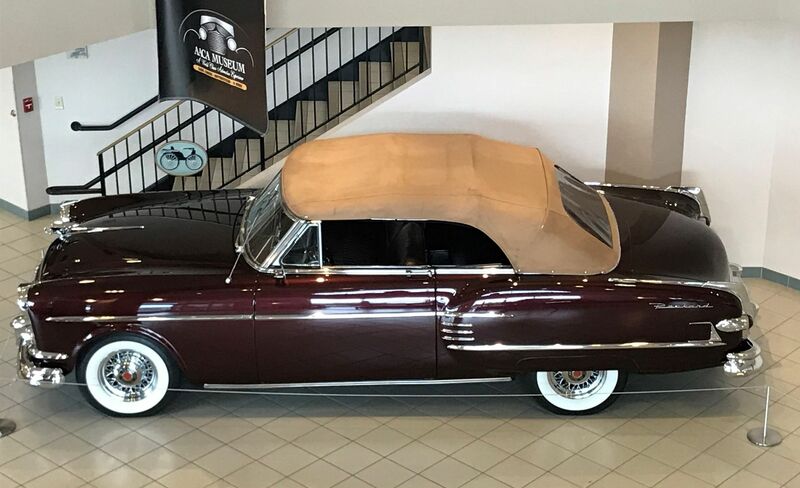 Automotive air conditioning became commonplace, even in affordable cars, and vinyl roofs gave the look of a convertible without the added expense or maintenance of a true folding top. Increasing air pollution and rising crime didn’t help drive convertible sales, either, so few were likely surprised when GM announced the 1976 Cadillac Eldorado convertible would be the last ragtop built by a domestic automaker. 1970 Cadillac de Ville convertible. Few things drive demand like model cancellations. In 1975, Cadillac sold 8,950 Eldorado convertibles, which represented a gain of 17.76 percent over prior year sales. In 1976, however, 14,000 Eldorado convertibles were built, including the final 200 “Bicentennial Editions,” which celebrated America’s 200th birthday with Cotillion White paint, tasteful red and blue pinstripes, white-center wheel discs, Firethorn seat trim, and a special dash plaque. Many ’76 Eldorado convertibles were purchased by speculators who gambled that the value of these “last American convertibles” could only increase over time. 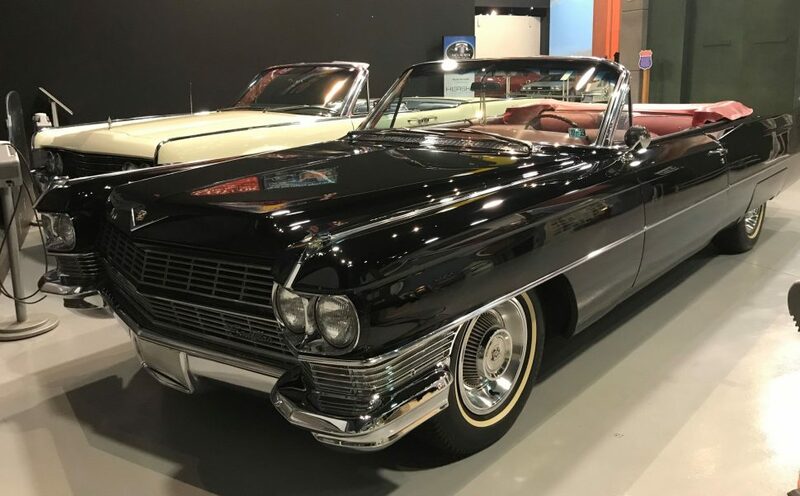 This may have been the case had Cadillac not introduced a new Eldorado convertible for the 1984 model year, prompting a class-action lawsuit – ultimately unsuccessful – by a group of 1976 Cadillac convertible owners. Land Yachts: Postwar American Convertibles will focus on cars built from 1946 to the late 1970s. Roughly 20 are expected to be on display, and the list of confirmed convertibles so far includes a 1953 Cadillac, a 1954 Packard (said to be one of about 30 roadworthy examples remaining), a 1958 Crown Imperial, a 1959 Buick, a 1962 Imperial, a 1964 Cadillac de Ville, a 1964 Imperial, a 1965 Lincoln Continental, a 1966 Buick, a 1968 Imperial, a 1970 Cadillac de Ville and a 1975 Chevrolet Caprice. The exhibit is scheduled to run through April 29, 2019. 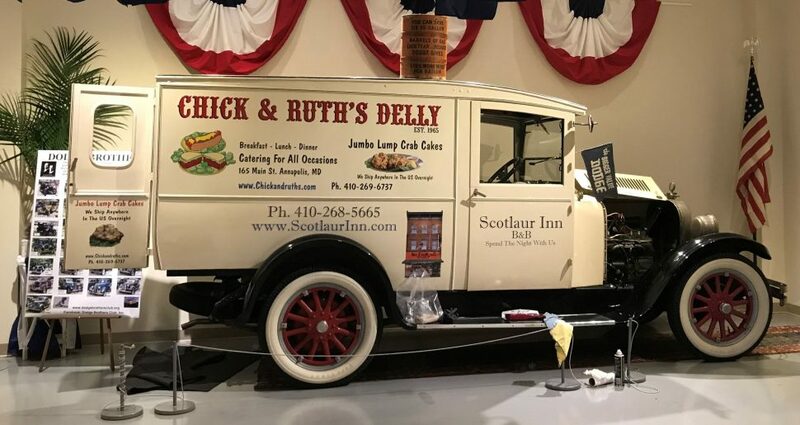 1926 Dodge Brothers panel van. Also on display at the museum during this time will be a selection of four Dodge Brothers vehicles, courtesy of the Mid-Atlantic Region of the Dodge Brothers Club, including a 1915 touring car, a 1926 station wagon, a 1926 panel van, and an Australian-built 1935 phaeton. An Australian-built 1935 Dodge phaeton. For additional details, visit AACAMuseum.org.